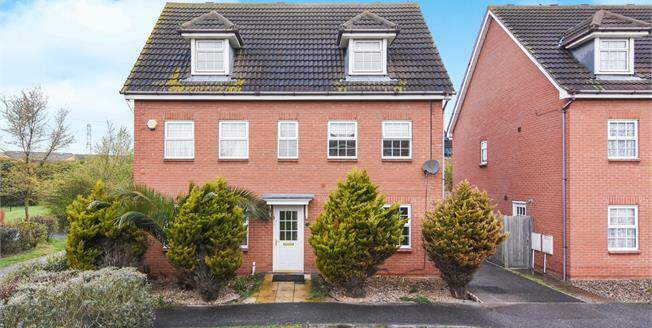 Offered with no onward chain, this five bedroom detached house is the perfect family home! Once inside you will be stunned by the space this house offers! The house comprises of an entrance hall, large lounge which leads to the conservatory, fitted kitchen with an island unit in the middle, separate dining room and cloakroom. To the first floor there is a three piece white bathroom suite and three good size bedrooms with two of them having en-suite shower rooms. To the top floor there are two further bedrooms with one of them benefitting from and four piece en-suite shower room which also features a bidet! Externally, the garage has sizeable storage at the back with parking available in front also along with a good size rear garden. An internal viewing is strongly advised.